This is sponsored by Office Depot, but the content and thoughts expressed in this post are 100% my own. If you are a member of my private entrepreneur group on Facebook, Permission to Hustle, you KNOW that I am a very organized and efficient person. In fact, I pride myself in having a pretty sweet system in place (and great office gear) as it’s one that has helped keep my business online for over a decade and counting. If you aren’t organized then work opportunities can fall through the cracks which in turn means that money is lost. My husband and I are both full-time bloggers – neither one of us have traditional jobs or guaranteed income. Mistakes like missed opportunities truly affect my bottom line. They simply aren’t an option. I recently replaced my dining room with an office space and haven’t looked back since! My office is proudly set up right in the middle of my open floor plan. This means that everything I do for my job has to maximize my ability to focus and write but it also has to be stylish. 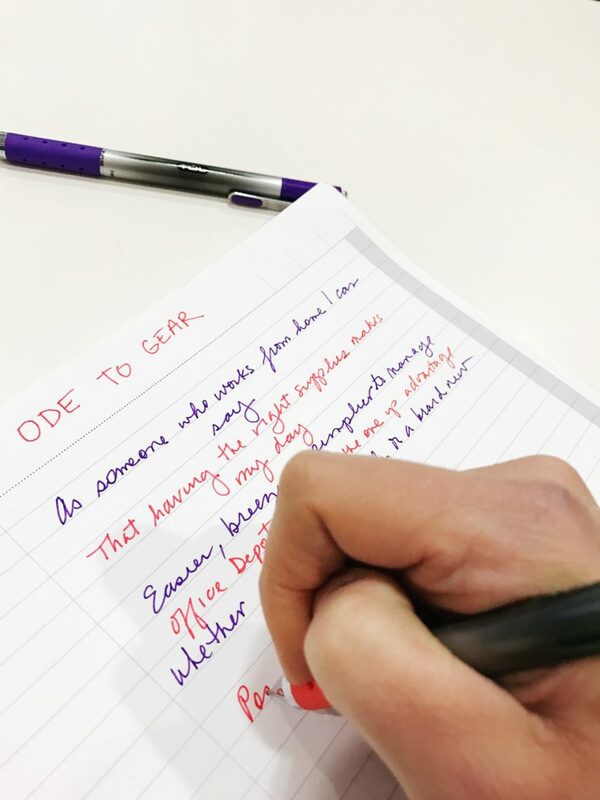 In fact, I have such a great set up that I’ve written up a little Ode to Gear letter or love letter about my supplies in honor of the month of love! Office Depot suggested that I acknowledge all the organizational products in my life that make my job possible on a daily basis. After all, I wouldn’t be able to FUNCTION without this gear. Easier, breezier, simpler to manage. To move my business forward while helping me to succeed. So, “thank you” to all of the supplies I own. I appreciate all the support that you’ve shown. The hustle wouldn’t be the same without you by my side. Shout out to Office Depot for keeping me stylishly supplied. Check your to-do list daily as soon as you wake up: Prioritize quickly what you deem the most important and tackle those tasks first. This will help you gauge how you will spend the rest of the day. Color coordinate by types of tasks in your daily planner: This isn’t for everyone, but I typically tend to color code different types of responsibilities. Do I have a draft due? Do I hope to write out a proposal but there isn’t really a hard deadline on the task? Is there a personal activity that I need to attend for one of my children? The colors grab my attention fairly quickly. Power of three: If you feel overwhelmed, I always say that I can at least do three things a day. In that case, I grab a Post-It® note and jot down my priorities and tape it to my laptop base. As soon as I complete each of the deeds, I simply cross them off. Nothing is as satisfying as crossing things off a to-do list, right? Limit time spent on email: Do NOT continuously check your email all day long. People do not realize just how much time they waste heading back and forth between their inbox and their task at hand. Check your email 4 or 5 times a day at most. There are exceptions to this rule, of course. Are you waiting to hear back from a client with pertinent information to a campaign that you are working on? Then by all means! But if it is just a typical day – try to stay focused. Set office hours: As someone who works from home with three kids, I can tell you this is a hard task to stick to but it is critical. We try to shut down around 3p.m. That’s when all our children are pretty much home from school. If there are hovering deadlines, exceptions are made, but I have to remember that my children need me, too. So, when they go to sleep, I hop back on the computer to finish up any loose ends that I might have left untied from the day. Fix your desk drawers: Don’t treat your office like a dumping ground. It’s not your junk drawer. My office is literally my haven! 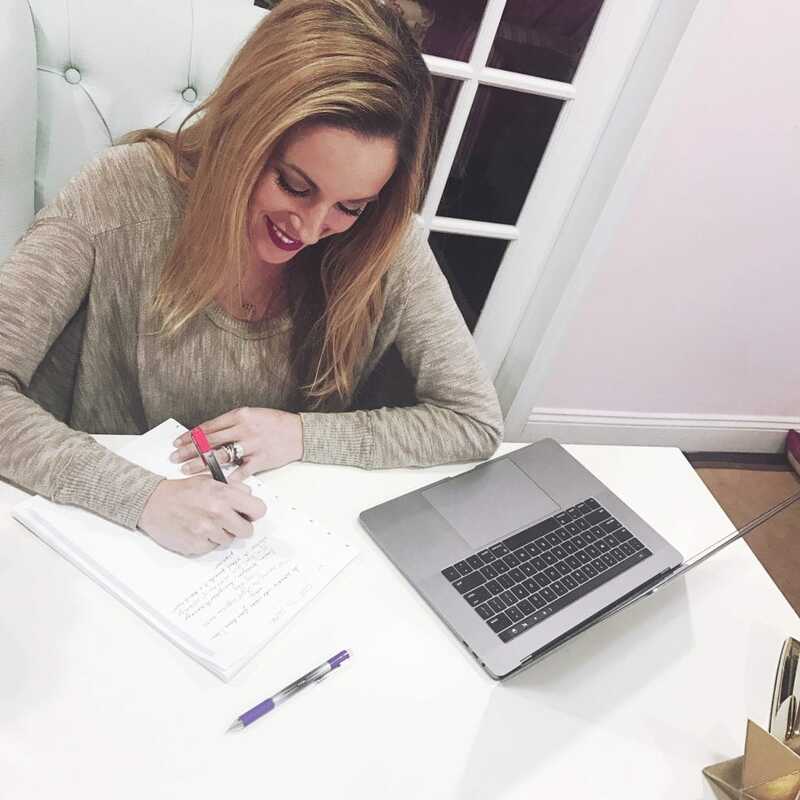 I LOVE being in that space and I make sure that I really think about what every space in there does for me – what purpose it has for my business. Get organized. Think about what you need for your business, get the supplies to help you accomplish those tasks at a store like Office Depot and keep that system running. If you need a pen, you know where to find it! The last thing I need is to be fumbling around for a pen. Everything you need you can find at Office Depot. In fact, all the products that I’ve featured in this post, I found in their store. So, it’s definitely worth your while to take a walk down the organizational lane and figure out what tools you need to bring home. 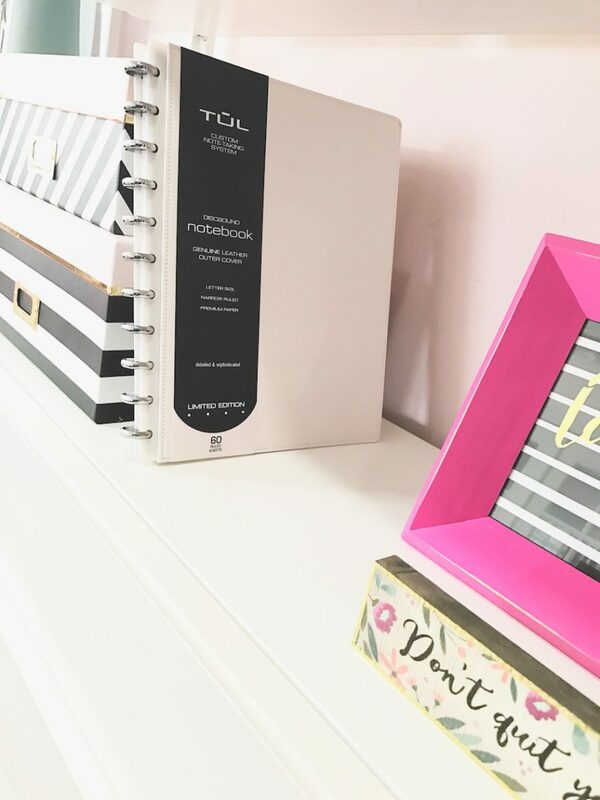 Do you have any organizational tips or favorite products that you’d like to share? Would love to hear!! Leave your comments below. Love that notebook and I use colored pens everyday. Thanks for the suggestion. Your office looks great! I’m not a disorganized person, I just have no room, I often wish I had an actual office to put a desk and set up like this. Your office is so beautiful!! I am a list person so those pens are perfect! I love being organized with different colours for different tasks! Sadly I don’t have an office in my home. It is the couch and a computer. I got to get those TUL gel pens myself. I love colorful pens and it inspires me to write. The post it notes help me with reminders and yes, I do organize with color codes. Your office is so neat and pretty! Wish mine looked like that too. I am working towards being more organized. I feel if it bothers me so much that I am not, it would be easier to do so. Color coding is something I am working on actually this week, so far, so good. Post-it Notes are great…I am going to be honest, your work space is beautiful! 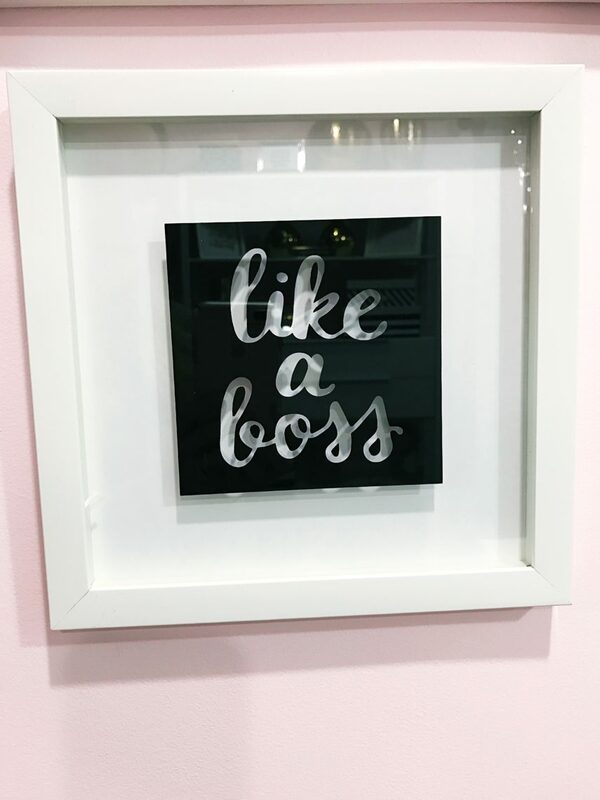 I love the like a boss logo. I saw a few items like this and was tempted to get it because I love the words and how powerful they really are. Great way to jazz up your office. I agree about having the right supplies. 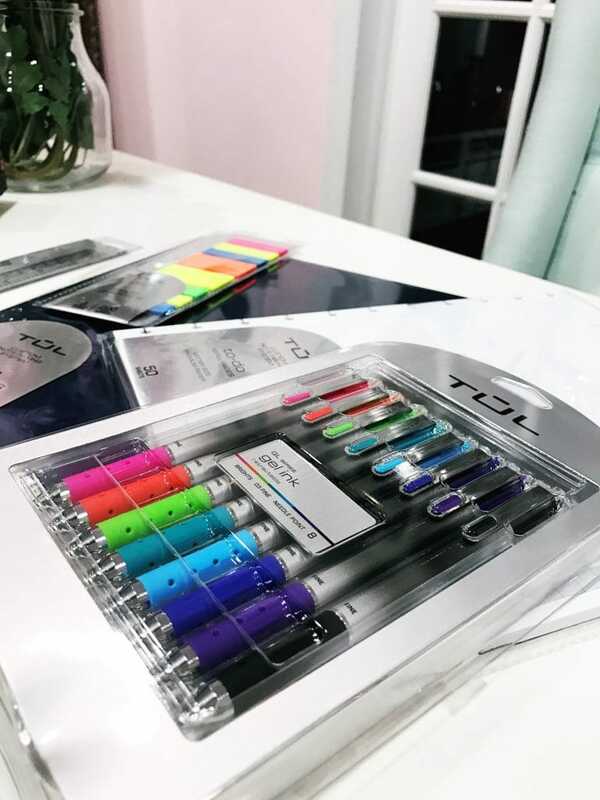 I want the TUL gel pens. I love your home office. It’s so neat and beautiful. i love the colorful pens! This makes me more happier and motivated on doing my to-do lists! haha Now, i need to set time for my emails as sometimes I tend to exert more time on it. I need to balance my time. I love TUL pens, they write so well. 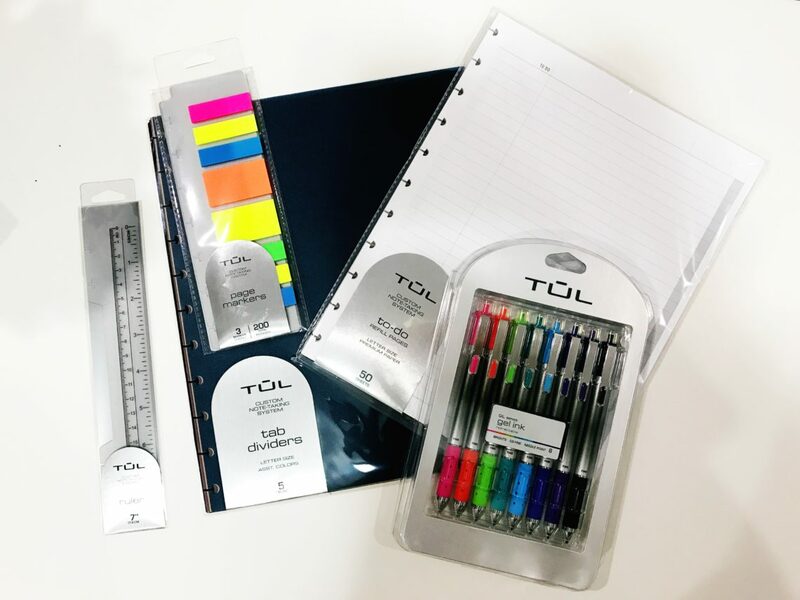 I did not know that TUL makes other office supplies as well. I need to fix up my office this year. That Tul note system is fully awesome! I live and die by my planner, and I color code everything. I have to give this a try. These are all such great tips. It can be easy to get bogged down in your work and thrown off track. Thanks for sharing these. I love to keep my office organized. Those pens are right up my ally. I will have to go stock up on some new office supplies. 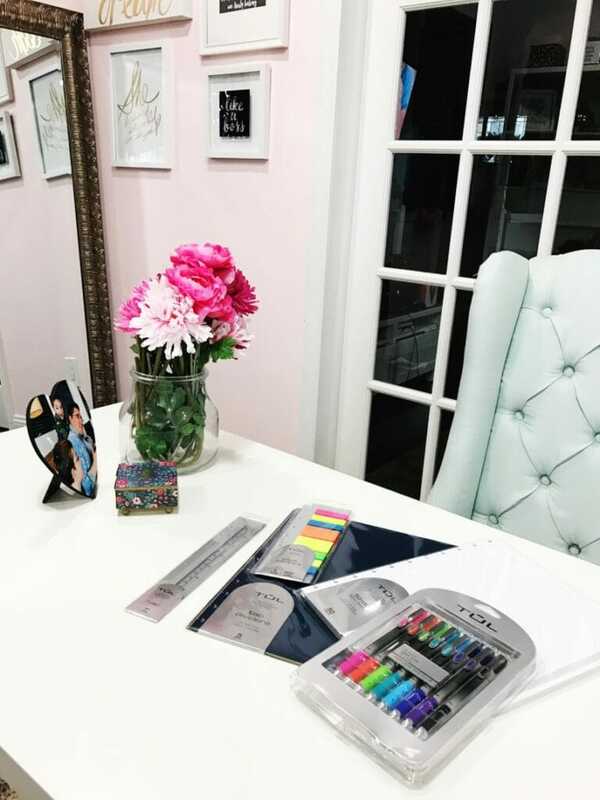 There is nothing like new office supplies to make me want to clean up my office, LOL!! Great post!! I love this post! I love being my own boss. Sounds like you are super organized! Thanks for sharing these tips!